Home > AMT Blog > Your Name Was What? 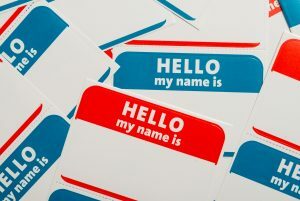 Did you know that today, April 9th, is Name Yourself Day? It’s your chance to give yourself whatever name you’d like … for a day. In honor of Name Yourself Day, we decided to check out the names that some well-known musicians chose for themselves, along with the real life names that were chosen for them before they were famous. — John Denver – born Henry John Deutschendorf, Jr.